Ford Loses Less Money Than Otherwise Could Have! Ford reported today that sales this October were only 9.5% lower than sales last October, which is actually not as bad as some thought it could have been. For the month Ford sold 195,462 vehicles, with a 0.9% increase in truck models (which include crossovers), but a 26% decrease in car sales. High on this list of things Ford is going to blame for this is the downturn in home building, which has resulted in a downturn in sales of the F-series pickups to contractors and builders. Press release after the jump. 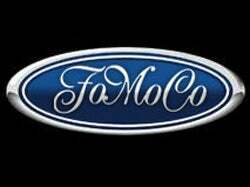 DEARBORN, Mich., Nov. 1 - Ford Motor Company's (NYSE:F) all-new crossovers continued outpacing the competition in October, achieving their highest monthly sales to date. Combined sales of Ford, Lincoln and Mercury crossover vehicles in October were 36,852, up 145 percent compared with a year ago. Year-to-date through October, crossover vehicles were up 59 percent, the largest increase of any major manufacturer. Ford Edge sales were 14,133 and Lincoln MKX sales were 3,787. Over the last six months, the Ford Edge has been the top-selling mid-size crossover vehicle in the U.S. The redesigned Ford Escape and Mercury Mariner crossovers posted higher sales than a year ago. Escape sales were 12,174, up 27 percent. Mariner sales were 2,554, up 19 percent. "Our new and redesigned crossovers continue to surprise and delight customers, demonstrating that Ford is building more products people really want," said Mark Fields, president, The Americas. "We're building quality into the Ford Edge and Lincoln MKX and are equipping them with features rivaling the best in the business, including SYNC, our industry-first in-car connectivity technology that fully integrates Bluetooth-enabled cell phones and MP3 players into customers' daily drives." In October, Lincoln continued winning. October marked the 13th straight month of higher sales for the premium brand. The month's sales totaled 10,229, up 17 percent compared with a year ago, with retail sales up even more - 38 percent. Lincoln's next new product will debut at the Los Angeles International Auto Show later this month. The company's mid-size sedans also contributed to the strong retail showing. Total sales for the Ford Fusion were up 13 percent, Mercury Milan 45 percent, and Lincoln MKZ 29 percent. Land Rover dealers reported record October sales of 4,237, up 6 percent. In October, Ford reduced sales to daily rental companies by 12,000 units, a 38 percent decline compared with last October. Year-to-date, Ford sales to daily rental companies were 142,000 units lower than the same period a year ago, reflecting planned reductions. In the second half of 2007, the company plans to produce 1,282,000 vehicles in North America, an increase of 2,000 vehicles from the plan announced on Sept. 4. Third-quarter actual vehicle production was 637,000 units, a reduction of 3,000 vehicles from the previously announced plan. Fourth-quarter estimated production is 645,000 units, an increase of 5,000 vehicles from the previously announced plan. [Ford Media].